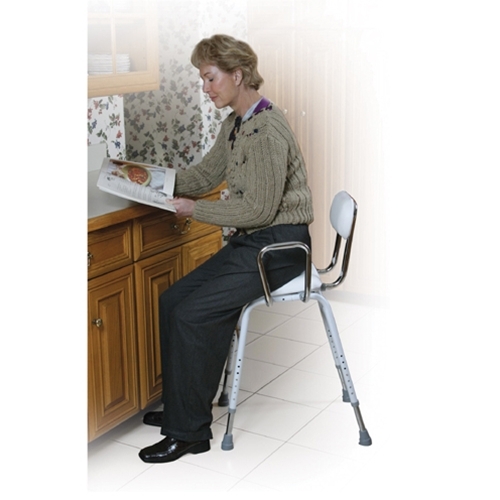 Drive Medical All Purpose Stool with Adjustable Arms from HealthyKin.com features a padded seat and back for added comfort. An angled seat makes sitting down and getting up easy. Manufactured with white powder coated steel for an attractive, durable finish. The only complaint I have about the stool is the narrow base. It would be much more stable if the base flared out as it approached the floor. If I have the legs extended much, it feels like it could tip when you sit down.